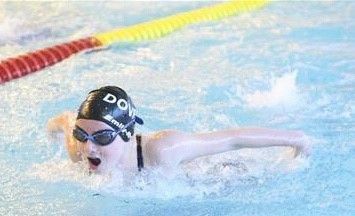 Emily-Rose Evans competed in a regional swimming competition, held at the London Aquatics Centre, Stratford, East London. She smashed her 50 metre Fly record in 33.05 seconds and became the fastest junior in Kent and is placed 2nd in the region. She finished the event at the Olympic pool and is placed in the top 10 for the UK. With any luck Emily-Rose will continue to enjoy this fantastic winning streak.